If you ever want to bring an alligator to school, don't. When my kiddo really likes a book, she’ll ask to read it again and again and again, and she’ll only tire of it if something new comes along to replace it. 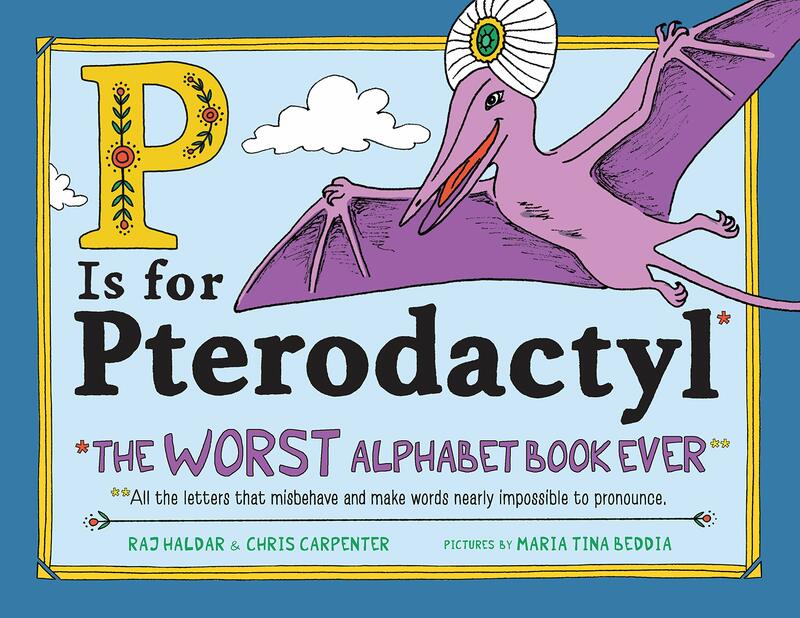 The fact that my daughter has asked to read this book every night for the past two weeks – and still cracks up at the funny parts – speaks volumes. If You Ever Want to Bring an Alligator to School, Don’t! is a wacky, colorful, and delightful tall tale for children ages 4-7. 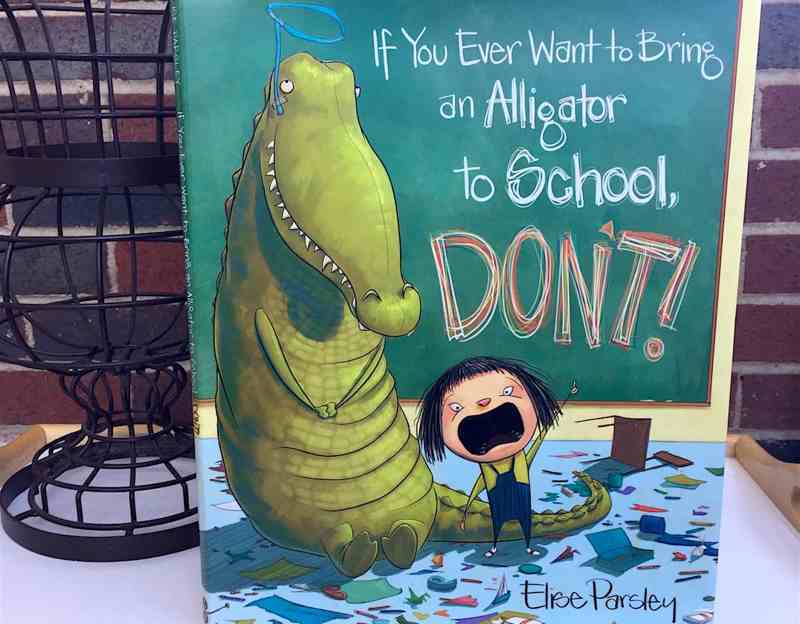 As Elise Parsley’s New York Times bestselling debut book, it tells the story of Magnolia, a unique girl who responds to her teacher’s request to “bring something from nature for show and tell” by – you guessed it – bringing an alligator to school. 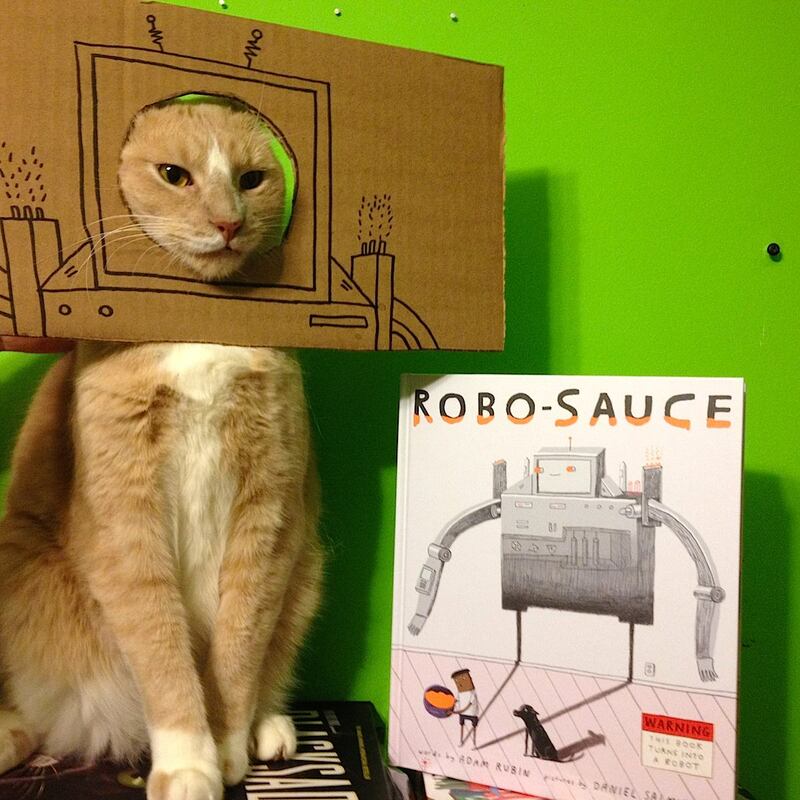 As one can guess, havoc ensues. Magnolia tries to convince her teacher that alligators are “quiet and good” and that he “won’t eat anyone,” but then spends the rest of the story trying to avert certain disaster. The alligator draws funny pictures to make Magnolia laugh, creates paper-airplane origami that winds up in the teacher’s hair, almost eats a fellow student, gets chewing gum everywhere, and eats Magnolia’s lunch. In return, Magnolia gets her name written on the board, followed by several checkmarks and an underline, which guarantees a trip to the principal’s office after school. I wish we had this book when my daughter was younger. Things would be much different! I’m going to be upfront here: this book made me cry. As a woman, mother to a daughter, and formerly outspoken little girl in a time and place where “feminism” was was an anachronistic term for bra-burning rather than the badge of pride and call to action it is today, this book made me grateful and proud. 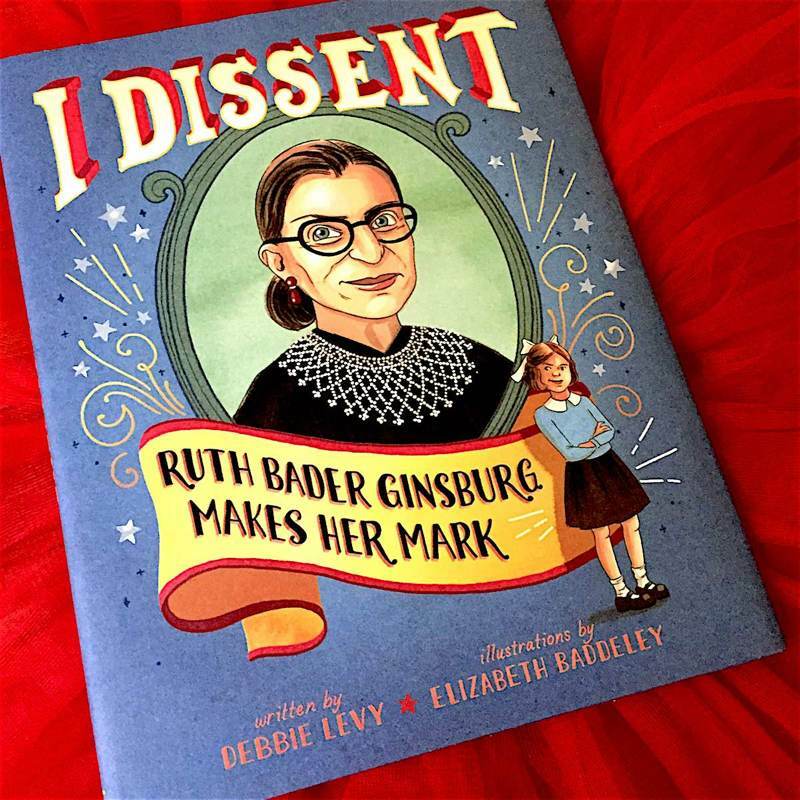 I was already an RBG fan – it’s pretty hard not to be – but I Dissent: Ruth Bader Ginsburg Makes Her Mark hammered home all of the reasons why it’s easy to admire the influential Supreme Court Justice through a beautiful, illustrated biography that stresses the importance of standing up for what’s right. It’s a classic problem: two turtles, one hat. Well, maybe not classic, but you get the idea. 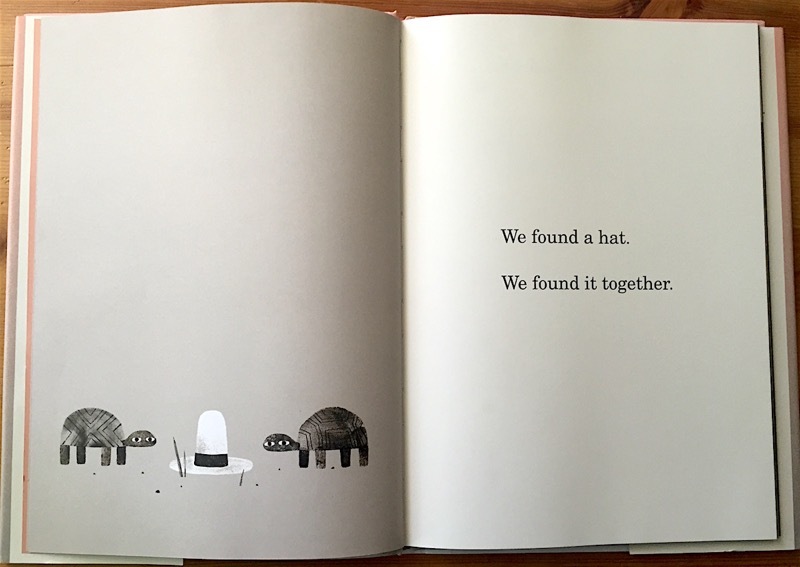 In the just-released and last book of his Hat series, Jon Klassen’s wit shines. Though his previous two Hat stories feature different characters, they both begin with a common problem – a stolen hat. We Found A Hat, however, is all about the moments before the grab. 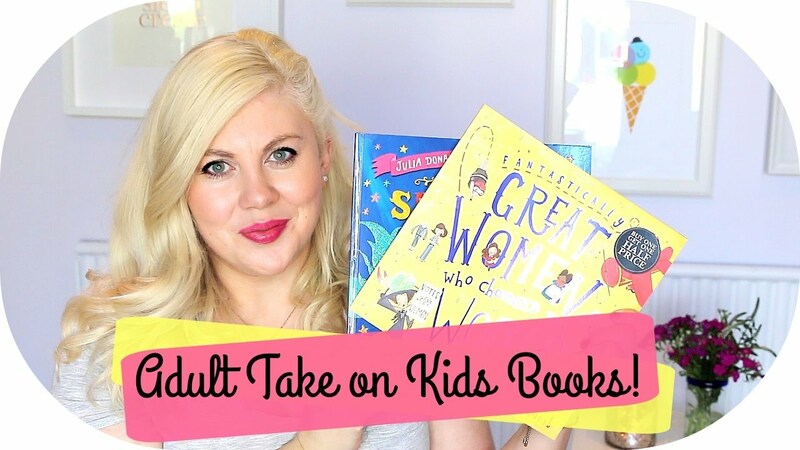 I love children’s books that are as delicious for kids as they are for adults, and Smart About Sharks is exactly that. 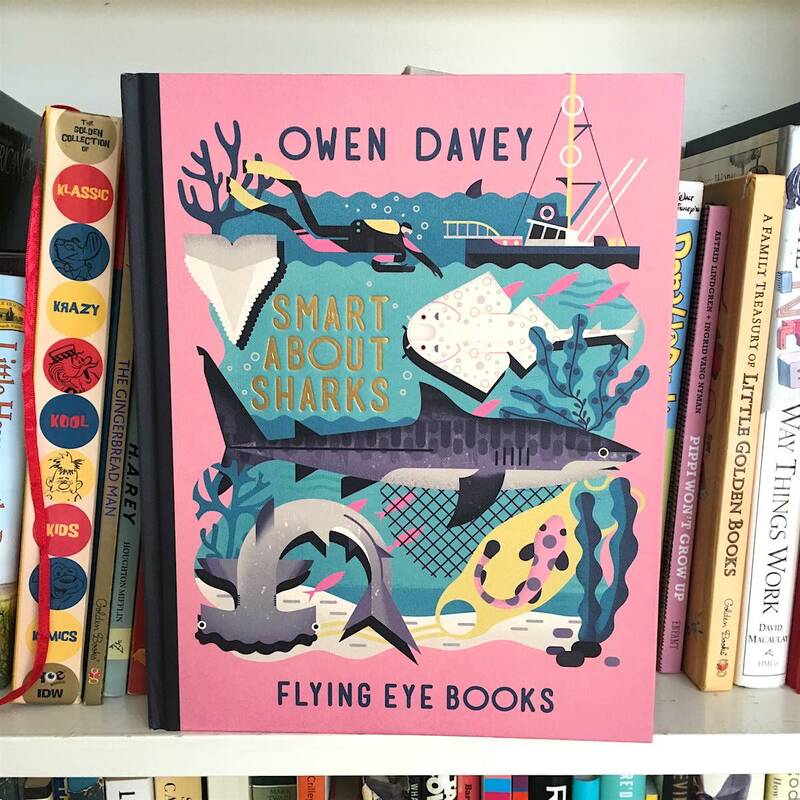 With a sumptuous textured cloth cover, an appealing gray-tinted palette of earth tones playfully punctuated by pink, and a retro encyclopedic design, Smart is filled with fascinating bite-sized shark facts that were completely new to me. Examples: sharks were here on earth 200-million years before dinosaurs; there’s a shark called a megamouth that has a glow-in-the-dark mouth; some sharks grow only to the size of a pencil. 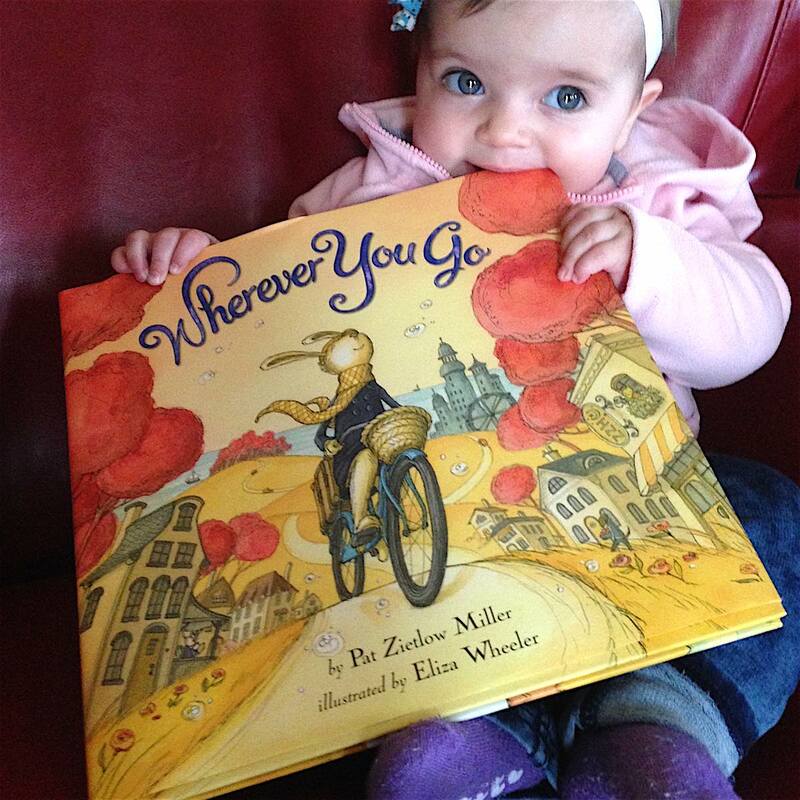 A hare packs its bags and takes a bicycle tour in this lovely rhyming picture book. Donning its jaunty chapeau and dapper pea coat, a hare cycles through forests and a covered bridge, past a paddlewheeled seaside inn, and into the evening lights of the big city. Exploring the neon-lit metropolis, it rides atop a trolley, pedals past a jolly carnival, and cruises over Seussian suspension bridges. Continuing on its way, it journeys through an arid desert, over indigo mountains, and back home again. Utilizing pale yellows, greens, and pinks, and drawn with an incredibly thin line, Wherever You Go's deep focus art fills every page with an expansive landscape. Little eyes could get lost for hours searching out minute details. Owls ride in baskets, mice chug along on tugboats, and alligators fish near ponds, and lazy afternoons can be spent examining the intricate scenery. A liltingly poetic storyline about traveling and new experiences is a delightful metaphor for life's journey. 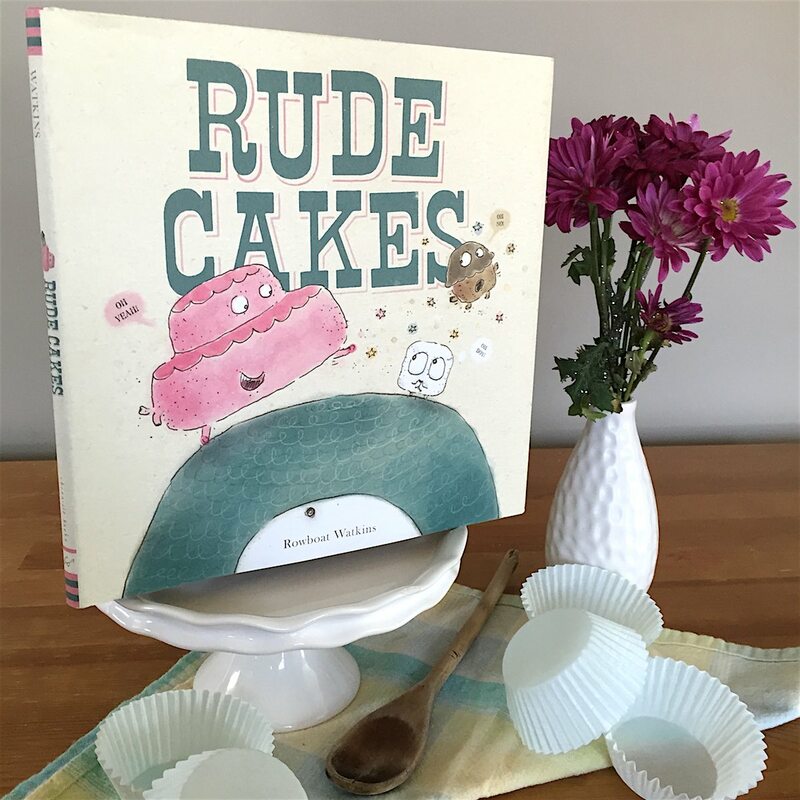 Visual puns, illustrative foreshadowing, relatable characters, and second chances: these are the ingredients that make Rude Cakes such a treat. In a world where the background is fairly barren save for a few flowers that sprout side by side with candy canes and lollipops, Rowboat Watkins’s pouty pink pastry, a two-layer cake with an attitude, takes center stage and shows us how not to behave. Luckily, we also meet a giant cyclops who inadvertently sets the rude cake straight. 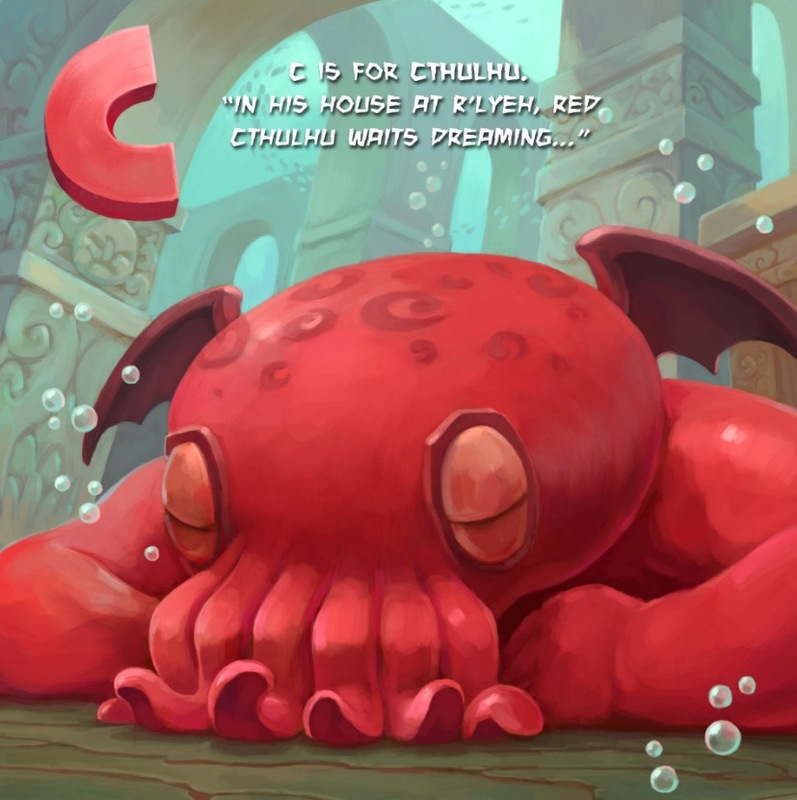 Rude Cakes is not only a fun read, it’s cathartic. Grown-ups reading this book aloud to their kids will laugh in commiseration with the pastry parents’ plight of reigning in their frosted tot. For kids, there’s plenty of opportunity for indignant head shaking at the cake’s social foibles, though it’s nearly impossible to do without cracking a smile. Afterall, not even a dessert can be sweet all of the time. And just when you think that cranky cake is going to get what’s coming to him, along comes the giant cyclops to lead by example, all the while making a mistake of his own that literally gives the cake a new outlook on what it feels like not to be heard. For a book without any people in it, every character and snippet of dialogue is truly and hilariously human. 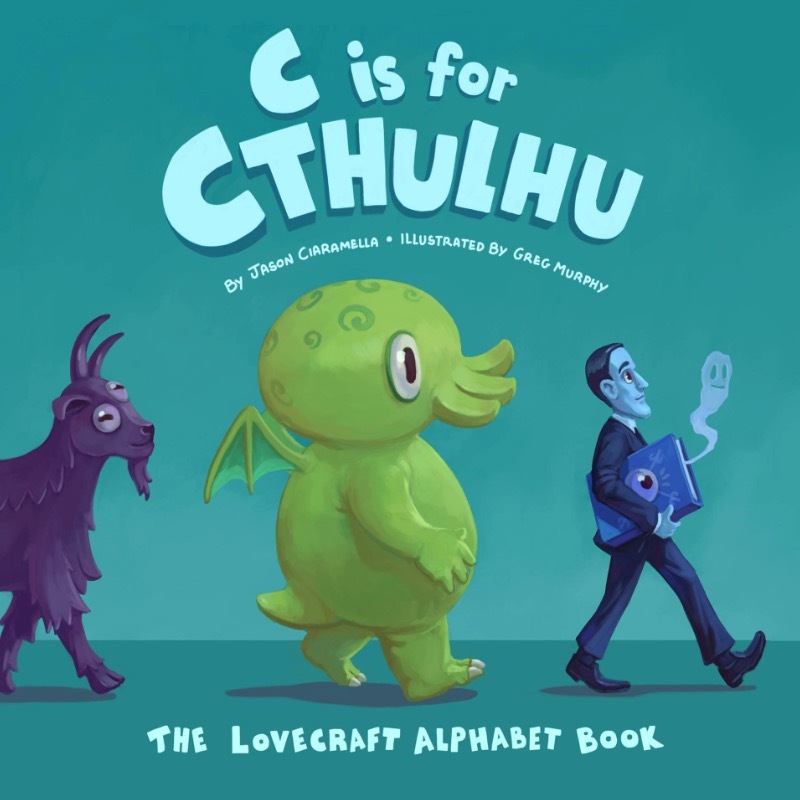 A is for adorable and that’s just the beginning of the attributes you’ll want to ascribe to this sweet account of anthropomorphic animals and the alphabet. Teagan White has created a charming book filled with colors awash in the glow of nostalgia, where forest critters romp across a scenic woodland, bundled in impossibly cute sweaters and tiny, striped scarves. 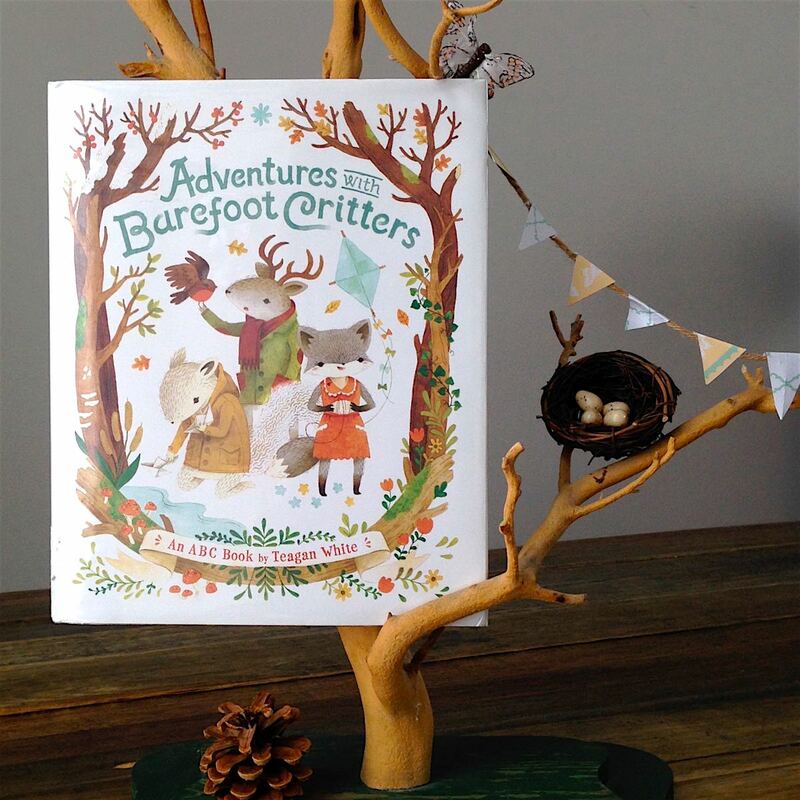 Adventures with Barefoot Creatures is characterized as an ABC book but its letter-themed, rhyming stanzas also follow the woodland flora and fauna through the seasons. A, B and C take place in deep winter as the critters clean out the attic and sniffle through colds. Spring arrives, with robin’s eggs and growing things twining their green vines and reaching across the pages in a riot of whimsy. Exuberant, the critters frolic in the summer’s sun, swimming in the lake and collecting ocean artifacts from the shores. 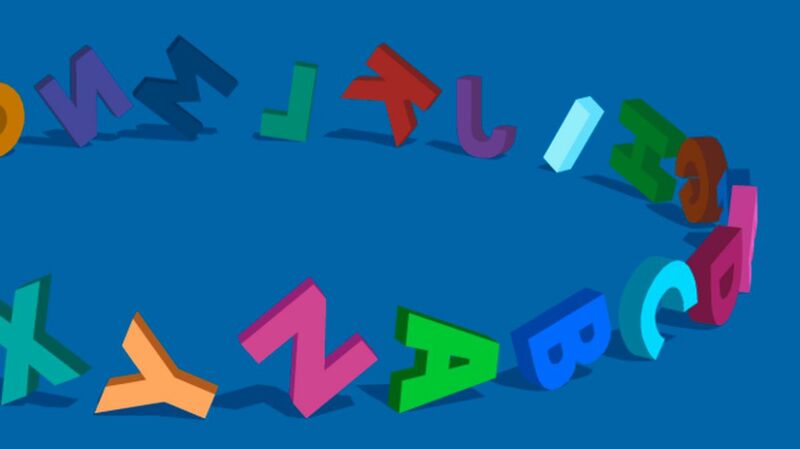 As the end of the alphabet approaches, cable knit sweaters reappear and the illustrations become clotted with the changing colors of leaves and the warmth of campfires. Z arrives to find the barefoot critters snuggled together, exhausted from their delightful New Year’s festivities and tumbled together in a darling snoozefest on the couch.